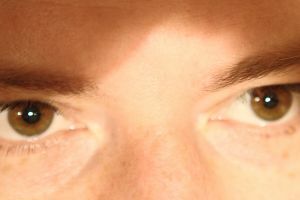 Most people with this have some shade of blue eye color (some are more grey, some are more green), however one person with brown eyes claims also to have observed this genoset. This spreadsheet is gathering more information on self-reported eye color. This page was last edited on 13 December 2017, at 15:49.